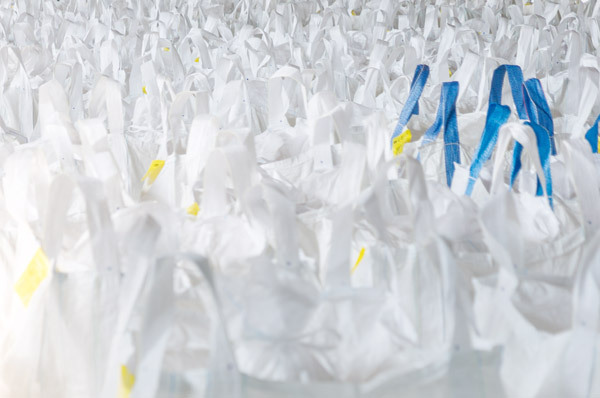 Under a development project, ceresan Erfurt GmbH works on the development and manufacture of a highly effective cold soluble starch product for the use in the paper pulp. On the part of ceresan, the development effects together with institutes and industrial users in the paper industry. Target is the starch preparation by cut of the starch jet-cooking – process and a thereby accompany cost reduction for the users in the paper manufacturing. Regarding appropriate development steps we will informaccordingly. On July 13th, 2018, the monitoring of the ISO 9001 : 2015 has been effected without problems. Thank you very much at this point to all operating departments for the inter-divisional and professional highly qualified preparation and teamwork. The 1st half year 2018 was finished with a very good result. Compared with the previous year, the produced and delivered quantity of goods has increased by about 20%. Among other things, new customers and new markets on 3 continents and as well in the Baltic States contributes for this very good result. Structural and replacement works at the Indoor Switching System are in the last steps. The works on the subjects “Addition to Capacity” and “Weighing Equipment” are in a very intensive stage. On June 6th, 2018, the City of Leipzig Companies Run was taken place. Around the training area of the German Bundesliga Football team RB Leipzig, more than 18.000 runners starting on the track. Beneath it was a team of ceresan with 5 starters in the age from 30 till 59 yearas. Under good conditions the ceresan team runs the 5 km distance in a new team – minimum time. Also in the next year we will take place again at this mass rally of companies. Also in this year we have no limitations in the production process during the summer time. The supply of our customers and the prevention of shortages are clearly in the front of our action. Welcome to the Homepage of ceresan Erfurt GmbH: innovative, environmental-friendly and sustainable products & solutions. By means of a unique and exceptional production process, we are specifically producing modified starch products from conventional cereal flour. On this website you can find the starch product fitting to your application and if you have an issue with your product or process, we can help with our customer-specific solutions and services. Find out, how our company was founded and learn something about our corporate history. Furthermore, let us convince you about the quality of our starch products. Our team will gladly advise you in a personal discussion. We are looking forward to your contacting. Winter is over and producers and users looking towards the cultivated areas. According to estimates of analysts, ministries and local producers there are no or only less outwintering damages. The quality of the plants is mainly good. Russia entrenched as export world champion and the EU isn´t competitive. The cash markets decoupled from Matif this year. Producers don´t have any pressure due to the good crops in the past and short buys of the feeding industries and some users stabilize the prices. Decreasing and increasing Matif prices are covered by adjustment of premiums. The actual Matif price is influenced by political anxiety, dryness in US and Canadian plains and the balanced wheat inventory. Until the crop stabil wheat price is expected. The renovation works of project ISA are forging ahead. The new system is build up parallel to the ongoing operation and will replace the old one after completion. The conversion will be done with less influence on the production processes. The topics capacity expansion and weighing system is still under examination. Further information will follow in the next newsletter. The preparation for the Leipziger company run in June is in full progress. The group is meeting regular for running to keep our trend to be faster every year upright. The year 2017 is almost over and we are looking back on a labor – intensive and successful year. Our constituency was growing and we supply now to customers in 25 countries on 4 continents. We want to say thank you very much to all customers, associate partners, staff members of ceresan and friends for the successful and comfortable co-operation and we wish all of you a Merry Christmas and a happy New Year. An important date of this year was the re-certification of ISO 9001 : 2008 to the new standard ISO 9001 : 2015, which we have passed with success. The national and international officially recognized certification authorities examine the Quality Management and the therefore connected processes in the company, as well as the related company policy and the abidance of the legal regulations and specification. We are pleased to announce that also in future we can assure our customers best products with highest grade of quality. Also in 2018 we will invest in several sectors. In the production area we will start with the reconstruction respectively with the new development of the 2nd part of the control room which will grants an improvement and increase of the effectivity of the power supply. Furthermore we are checking currently an investment concerning the extension of the loading capacity including weighing equipment. For this we will keep you updated soon. Target for the next year is the stabilization of our customers-structure and the sales quantities, as well as we work on several projects to convince new customers from the quality and versatility of our products. Furthermore, our Research and Development Department will speed up the co-operation with nationwide research facilities to increase continuously the quality of our products and to develop new products. Our colleague Mr. Stefan Schulze was leaving the company on September 14th, 2017 to face up to a new challenge. We wish Mr. Schulze all the best as well as success in his new practice. Since September 1st, 2017, our products got new names. During the process of general modernization it was the target to make the product names shorter and more comprehensible. The improvement works at the finished goods warehouse are finished. Among others, the roof has been restructured completely and we have optimized the stock-keeping processes and logistics to create the loading of goods much more faster and efficient. For the enhancement of our production team, from October 1st, 2017, Mrs. Schneider will join the team and will work in the area of production and screening. Thereby, Mrs. Schneider is the first woman in the production department. We are happy about the enhancement and wish her a long and successful time in the ceresan Team. arising contact points between the working staff and the products. Currently we partial modernize and rebuild the warehouse for Big – Bag goods. At this moment the roof will modernized completely. Completion date for this project is Q3/2017. The realization of the roof and general finishing works effect by regional based companies. For strengthening of the production team, from 1st of July 2017 ceresan has appointed a new staff member for Production and Consignment. We are pleased to welcome our new colleague and wish him many successful years in the ceresan – team. Also in this year we keep our production during the summer holidays completely alive. So we can guarantee our customers a usual high quality in goods resourcing and shipments and solve the problem of eventually product shortages. The 3rd year in series, ceresan was a member of the Leipzig companies run, together with more than 15.000 runners. At best outer conditions and inspired at the course by colleagues, friends and partners, we have been able to reach a new minimum time with a total running time of 1:58:29 h.
Ceresan is proud of his sportive staff members and the excellent result which we try to undermatch next year. The cold winter season is over and the temperatures rising: A good moment to have a view on the fields and the crop 2017. As far as possible the statements are conformable that more or less no winter damages can be find at the sowing in the European region. Accordingly, the estimations of the appropriate forecast – institutes act on the assumption of a wheat crop 2017 above the ordinary, i.e., of about 6 t / ha. Overall it is to say that the news are straightforward and at the moment the courses are strongly affected by monetary influences and international news. So let´s see how the European and American weather situation will take influence on the growth and thereby on the markets. The project “Batcher and weighing systems” is in full swing. Together with the company Scholz Dosiertechnik GmbH we are in the last steps of the installation. By this investment of this new batcher and weighing systems we will further increase the product homogeneity and try to perfect the overall product quality. As enhancement of our laboratory teams, Mr. Wenzlow began his work on January 1st, 2017 for the Departments Quality Assurance and Research & Development. We are happy to have him in our team and wish him many successful years with ceresan. Since 4 years now, staff members of ceresan are taking place on the IMPS in Munich. This year, Mr. Stefan Schulze has taken place and has represented our company in the exchange of experiences with paper manufacturers, service providers and suppliers. We would like to take the opportunity to inform you that our previous Managing Director, Mr. Hauke Koch, has completed his activities for ceresan Erfurt GmbH and the Roland Mills Untid Group to the end of the year 2016. On this way we say thank you very much to Mr. Hauke Koch for the work rendered and we wish him all the best for his further professional career. Effective from January 27th, 2017, Mr. Hans – Christoph Erling will be the new General Manager of ceresan Erfurt GmbH. With the manifold experiences of Mr. H.C. Erling in top Management positions of the Roland Mills United Group, the next step has been implemented to incorporate ceresan Erfurt again closer and more intensive in the Roland Mills United Group. With a further optimization of the business processes of ceresan Erfurt GmbH within the Roland Mills United Group and in the direct cooperation with our customers the next step is done for the future of the company. We are getting excited about this situation, looking forward on a good cooperation and wishing Mr. Hans – Christoph Erling a lot of success. A good structured and projected modernization and remodeling of a company starts with the employees, involves diverse processes and structures and includes in the most cases a new corporate symbol (Logo). In this course of modernization, ceresan Erfurt GmbH is pleased to introduce the new Corporate Logo, valid from February 1st, 2017. It was and it is our target to combine tradition and modern spirit to deliver our customers the well – known reliability and quality, based on the up-to-date requirements. Targeted, the previous spike in the old logo we have matched by a shortened green angle and the character is visible quiet clearly. Thereby, ceresan Erfurt GmbH gets presented in a new design with clear structures as well as an explicit and targeted orientation. The green angle in our new logo shall visualize our focus on wheat as well as on sustainability and ecology in our complete production process, and it shall create a high recognition value. It was a busy year with a lot of changes and a very good cooperation with our business partners. We have managed the approach for the business year 2017 and we are pleased to have a contemplative Christmas and a happy and healthy new year. ceresan Erfurt GmbH wishes all business partners a Merry Christmas and a Happy New Year. The rebuilding of the chemicals warehouse has been finished within the time limit. The first delivery of our main chemicals have to be carried out already and the new warehouse is in operation with these first deliveries. Now we have a closed processing from the tank vehicle till the production and the goal to improve the occupational and process safety is fulfilled in a comprehensive way. ceresan Erfurt GmbH don´t take a rest on the achievements of the past, we continue to invest in the optimization of our production process. In the new year we will install 7 new dosage systems and we update our weighing technique. About the latest news of these works we will inform in the next ceresan news as well as in facebook and google+. Our current Managing Director, Mr. Hauke Koch, will leave ceresan Erfurt GmbH and the Roland Mills United – Group contemporary. Already today we want to thank Mr. Hauke Koch for his work and wishing him all the best on his new way of doing business. End of January 2017 during a shareholders meeting the new Managing Director of ceresan Erfurt GmbH will be named. Referring to this we will inform in a separate business letter. In the frame of the reconstruction and restructuring of ceresan Erfurt GmbH, starting from February 1st 2017, on all business documents and on our website we will present a new logo. Also to this, later we will inform all of our customers in details with a separate business letter. Last year, the sowing has been carried out in line with the time, in which it gaves some start up problems by dryness in autumn on various occasions. The mild winter leads to good stocks without harms to leave clay to weather. By the a bit to dry spring, the plant growth was slowing up and this effect gets increased by missing precipitations in May and June. The eutrophic grounds of the Thuringia Basin, the traditional wheat gathering ground of the Roland Mills United East, with headquarters in Bad Langensalza, can buffer more moisture, therefore the plants could develop a strong root system which was be able to provide the plants with enough water. This year the grain crop must be interrupted frequently by periodic precipitations. Till August 11th, 2016, only 50% of the wheat and rye fields have been harvested. Altogether, the European Grain Market Stocks have been revised slightly downwards, but the quality has been rated in the most parts as constant. Also in the next year we are able, as usual, to deliver modified grain flours in constant good quality. The first project of our replacement works has been already completed very successful. The obsolescent indoor switch gear has been replaced by a new facility.The rebuilding starts at August 12th, 2016 over the weekend and has been completed on August 15th, 2016. Special thanks to the colleagues of the ceresan – locksmith and electric departments, which have been realized the replacement works without disturbances and problems. Also special thanks to VS Schaltanlagen Bad Kösen for the quick delivery. Our 2nd Reconstruction project is the storage of our major chemicals. tank trucks and processed afterwards. Thereby we grant a closed process from the supply till the processing and thereby a massive increase of occupational safety and a reduction of possible hazards. The finishing of this reconstruction we expect for second half of October 2016. Some views on these building activities will be seen at Facebook, Google+ and on our webpage. Since the 1st of July 2016 we welcome Mrs. Teubel as enhancement of our laboratory team in the divisions of Quality Management and Research & Development.We are pleased about this increase and wishing her many successful years in the ceresan – Team. Continuing education is the “A” and “O” to be a player in the quick shifting paper market. Because of this reason, on the 6th of October 2016, Mrs. Dr. Petersen will take place on a seminar of the PTS in Dresden, subject: Renewable Raw Materials for the Paper Industry. We are pleased to get exciting contents and information which we can combine with our available knowledge and experiences. After more than 20 years of seniority, Mrs. Zander will leave ceresan on July 31st, 2016. Mrs. Zander was a very valuable, loyal and faithful staff member and has managed the communication between customers and the forwarding agents in best practice. We regret that she leaves the company and wish Mrs. Zander all the best for her new period of life. The operational procedures of Mrs. Zander will be taken over by Mrs. Golke and Mrs. Hesselbarth. „The Leipzig Companies Run“ – ceresan has participated very successful already last year – enthuses also in this year numerous participants and visitors. We are started with 5 runners and have finished the run successful with a lot of fun. Impressions thereto you will find on our facebook and google+ side. Also in this year, our production will be fully keep up during the summer holidays. Thus, we secure that we can serve our customers in the quality and delivery reliability as usual and product shortages will be eliminated. The crop carousel accelerates bit by bit. The wet months May and June in Central Europe have driven up the prices higher on the stock exchange. , also amongst others with the view of expecting grain sickness defects and quality degrees of degradation. However, contrary to this are the last estimations of the FAO which expects a bumper crop only tight under the level of 2014/2015. It remains to be seen how it will develops within the next weeks and to hope on a good crop and appropriate good crop conditions. In this summer ceresan starts a reconstruction project which you can follow up on our homepage, or our facebook and google+ side. At this point, we don´t want to whistle blow to much, stay snoopy ……. Also 2016, ceresan Erfurt GmbH will be at your side as a reliable supplier and service provider. We would like to take the opportunity to inform you by a Newsletter about changes and news in our enterprise. The alternation of generations which has been initiated already in 2013 has been completely consummated per 31.12.2015. Longtime colleagues have been speeded on retirement and their positions have been replaced by new colleagues. In a longtime familiarization we have secured not only a complete and professional high qualified transfer of Know How and the handling of the existing business processes, we have also developed new projects with a constructive implementation. Mrs. Dr. Sandra Petersen. Contact data of Mrs. Dr. Petersen please see at our new Homepage. 25 years of ceresan are characterized by manifold changes in the market and the company itself. That’s why we have completely new designed our Homepage and have been adjusted it on our objectives: young, dynamic and user- and service oriented. Our goal “From One Source”is accurately defined in our new homepage and covers not only the manufacturing of modified flours, but also the complete line up on services, starting from Research and Development, via manufacturing, application-technical support, supply of technical devices up to the quality- conscious and on time deliveries to our customers. Based on long lasting experiences we have developed our own generation of starch cooking devices. AS developer and engineering owner we manufacture these devices with a well experienced cooperation partner in the Czech Republic. Service, training and spare parts providing are matter of course elements in this complex product portfolio and underline our corporate philosophy “From One Source”. For questions and information, our Application and Sales Department will be available for you. Contact data please see at our homepage. On this way we want to say thank you very much for the longtime, trusting and successful cooperation and we are looking forward to a fascinating and efficient continuation of our business relationship.